Efficient to deploy and easy to use, CAPP Associates’ ERP Solutions enables your front end and back end business processes to work together. Whether you need to improve your warehouse and inventory control, automate your order entry or integrate your accounting data, ERP Solutions by CAPP Associates puts the business transformation tools in your hands. 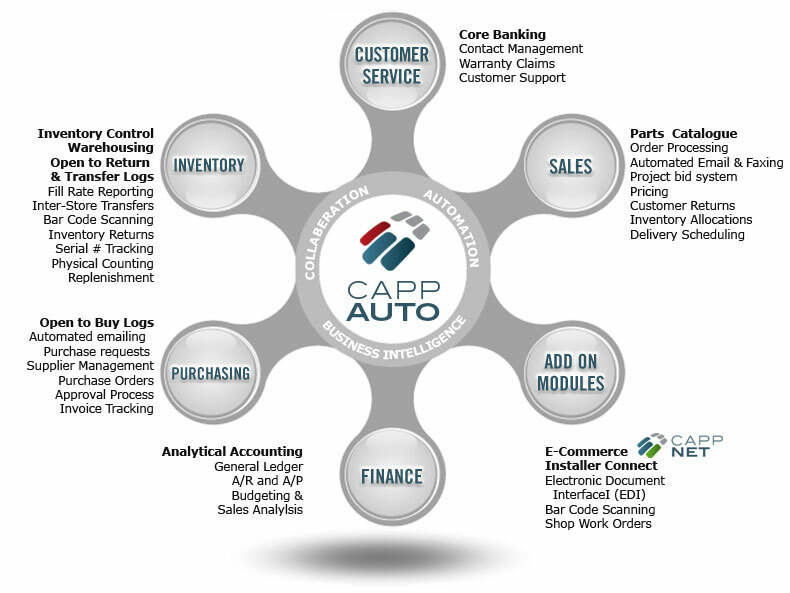 CLICK HERE to contact a knowledgeable CAPP Associates ERP expert to start building your own business automation solution today. Move your mouse over each application module to see the comprehensive CAPP Solutions features and functionality. For a straight-forward report on what ERP is and how it will benefit your organization, download a copy of Introduction to Enterprise Resource Planning (ERP) Whitepaper here.